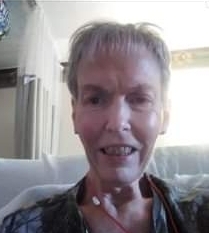 Rosalyn Elaine Hawkins, 66, of Paoli, Indiana passed away Friday January 18, 2019 at Baptist Health Floyd Hospital in New Albany, Indiana. She was born on February 27, 1952 in Bedford, Indiana to Winfred Wigner and Mary Baker Wigner. She married Roger Hawkins on August 7, 1976. She was preceded in death by her parents, and one sister Beth Wigner. She was a homemaker but, in the past, she worked at Park & Shop, Wilson’s Laundry Mat and Windhorst for the Home in Paoli, Indiana. She was a member of Apples Chapel Church in Youngs Creek, Indiana. She loved fishing, mushroom hunting, sewing and playing the piano at Apple Chapel Church. Also surviving Rosalyn Elaine Hawkins, are two grandchildren. Funeral Services will be 1:00 P.M. Monday January 21, 2019 at the Dillman-Scott Funeral Home. Interment will follow in the Apple Chapel Cemetery. Visitation to be held Monday January 21, 2019 from 10 A.M. to 1:00 P.M. at the Dillman-Scott Funeral Home, 226 West Campbell Street, Paoli, Indiana. In lieu of flowers you can donation in her name to a charity of your choice.